Does The Traditional Lock And Key Have A Future? Technology is constantly changing and evolving, meaning that there are always new and innovative devices and gadgets coming to market. For example, technology has advanced within the home to the extent that heating and lighting systems can now be controlled by a smartphone. And choosing a door entry system is no longer simply a matter of opting for a lock and key. The lock and key have been used in very much the same way for centuries and have undergone little change when it comes to allowing access to buildings. The principle of gaining entry to a home or office – the simple act of putting a key in a lock and turning it – is much the same now as it was a couple of hundred years ago. But, as with many other aspects of modern life, technology is altering the way things have traditionally been done and we’re now seeing a new range of products gaining a significant foothold in the security market. There are an increasing number of products becoming available that can grant access to a building without the use of a key, such as code and biometric locks. Market trends for door entry systems are now moving to the next level, with products such as code-operated locks rising in popularity. Doors that are fitted with code locks can be accessed by inputting a simple code. 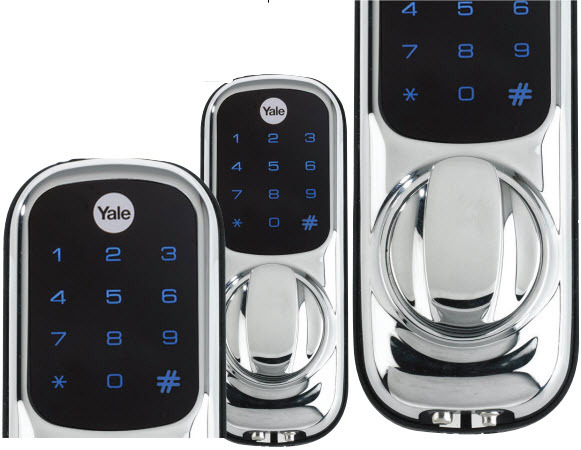 The Yale Digital Nightlatch, for example, offers a touch screen keypad that is backlit for night time entry, making it ideal for domestic properties and small offices. The system is easy to fit – by removing the existing lock, the new one can be quickly installed in its place. It’s also simple to programme and the four to 12 digit pin can easily be created and changed. When needed, a temporary code can be created and deleted to give access to visitors to the building. There are even some locks on the market that do not require a key or a code to open the door. 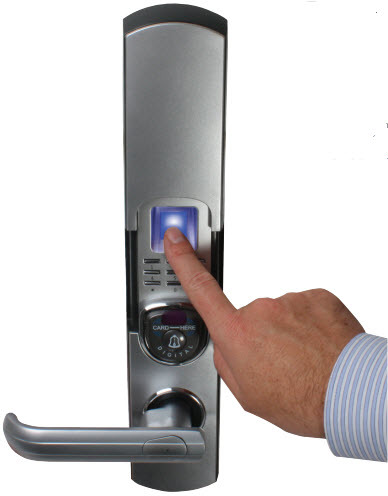 For example, biometric locks use the latest in fingerprint technology to grant access to the building and require the user to place their finger over the reader to unlock the door. The Biometric Fingerprint Codelock can store up to 78 fingerprints and users can simply be added and deleted from the unit. There is no need to worry about lost keys or remembering codes, making it particularly ideal for use in buildings where there is a high footfall. The lock offers ultimate security as it comes complete with a mortice deadbolt and a unique key that cannot be duplicated. Further to this, the fingerprint technology means that the lock’s system cannot be overridden except by the nominated key holder. The products mentioned above are just a couple of examples highlighting how entrance systems are moving with the times and are becoming more sophisticated. So with the rise in popularity of these systems, what does the future look like for the traditional lock and key? Some of the products now on the market were the objects of sci-fi not so long ago but they’re now very much with us. As with most of the gadgets and gizmos we find ourselves using in today’s society, the technology is here to stay and is only likely to develop further. As mentioned at the start, it’s important to recognise that the smartphone is a powerful piece of technology and has the ability to control or replace a variety of functions and devices around us. For many people, it is already the go-to tool when they need to take a picture or find directions. And it is increasingly being used in homes to control things like heating systems – take the Hive Active Heating System for example, which can be controlled remotely from a mobile phone. With this in mind, it’s not unrealistic to predict that the smartphone could be used to open doors in the future. Evidence of its potential can already be seen with the emergence of real life examples. Visitors to the Hilton chain of hotels will soon be able to check-in and open the door to their room via the use of a special lock that is controlled by their mobile phone. as they walk up to the house or building with the use of an app. It promotes secure, convenient control over the access to the home and automatically locks the door once it is closed. A bit of time yet At present, it’s unlikely that the smartphone will completely overtake the key anytime soon. Having said this, as with all new and emerging technology, there is a lot of potential for devices to develop and transform the way things have traditionally been done. There are lots of pieces of technology that we use on a regular basis now that were unheard of a few years ago. Alternatives to the lock and key are growing in popularity with more and more products entering into the market, it’ll be interesting to see whether the traditional entrance system will prevail.